Gwanyan Barker is a passionate jewelry designer that uses gold plated/filled copper and brass charm along with cowerie shells. 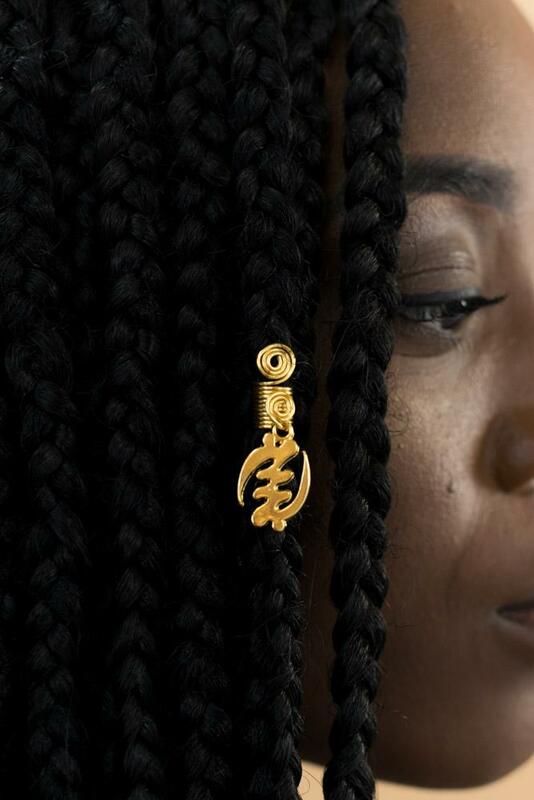 Her brand Kpelle.Designs, is inspired by Liberian culture and works to share the importance of adornment for Black women across the diaspora. When and why did you start Kpelle.Designs? And what inspired the name? I started Kpelle.Designs January 2014. The name derived from the name of my tribe, Kpelle. I am Liberian (west African) and it is one of the 16 tribes we have, more personally it is my father’s tribe. Kpelle.Designs actually was just a hobby of mine until people expressed to me that they would like a piece of my handcrafted work for themselves, it grew from there. Is there a significance to your material choice (copper, brass, etc)? Where are your materials sourced? There is no significance in the material choice, however, I bring them to life once I make them my own. For example, my “Ol’Ma “earrings are very significant to me because of how women in my country and many others carry weight or whatever misc. goods on top of their head. To me its tradition, a way of life, and a sense of home. Is drawing inspiration from the African diaspora liberating? If so how? Drawing inspiration for the African diaspora brings me so much joy and pride because I get to express my take on it and provide it to the world to wear. Being immersed and grounded in Liberian culture allowed me to be very appreciative of my identity at an early age and gave me an intrinsic drive to learn about other regions of Africa. Africa is not a monolith and at the age of 26 I’m still learning about different traditions and history of this amazing continent. Explain the importance of hand craftsmanship for you. Ever since I was a smor pekin’ (small child) I’ve always been handy. I think it was my way of making up for the fact that my dad never got the son he probably wanted. Hand craftsmanship is VERY personal to me because I’m literally creating these pieces with my customers in mind. It’s a skill that’s a key feature in my business that I’m still mastering because I want to give my supporters the best. 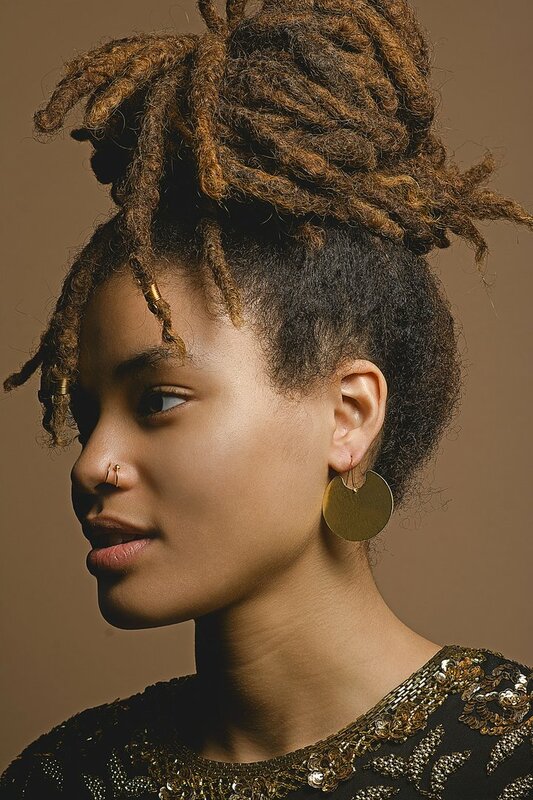 What does jewelry and adornment mean to do and what do you think it means to black women and WOC? Jewelry is worn for many reasons: whether it is a family heirloom, a personal gift from a loved one, something to enhance an outfit, etc. To me jewelry is a timeless item that will never go out of style. Every once in a while, I receive a DM or email from a customer providing a testimonial of how beautiful and prideful they felt wearing my Mama Africa necklace or Queen Nefertiti necklace. Honestly, I believe there’s more significance with black women and jewelry historically speaking. Jewelry and/or head wraps gives black women and women of color a sense of identity, pride, and beauty.